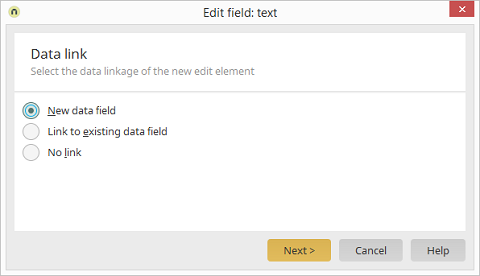 Creates a new data field that will be automatically connected to the new edit element. All data that is entered in the edit field later on will be saved to this data field. The corresponding data field can be selected in the next dialog once you have clicked on "Next". The element will be created without a data field connected data field.